 Medical Imaging and Radiation Therapy Bill Hits the Ground Running - ONRAD, Inc. Diagnostic Imaging | A bipartisan bill to set minimum education and certification standards for technical personnel providing, planning and delivering Medicare-funded medical imaging and radiation therapy treatments is moving through Congress. U.S. Rep. Ed Whitfield (R-Ky.) introduced The Consistency, Accuracy, Responsibility and Excellence (CARE) in Medical Imaging and Radiation Therapy bill on June 2. The bill’s eighteen cosponsors, in not counting Whitfield, include seven Republicans and 11 Democrats. The CARE bill (H.R. 2104) was referred straight to the House Energy and Commerce Committee as well as the House Committee on Ways and Means for review. The CARE bill was initiated by the American Society of Radiologic Technologists (ASRT) and the Alliance for Quality Medical Imaging and Radiation Therapy. The Alliance consists of 26 radiologic science organizations that support federal minimum education and certification standards for all medical imaging and radiation therapy professionals. ASRT President James Temme said the CARE bill has legislative momentum. Currently, six states – Alabama, Alaska, Idaho, Missouri, North Carolina and South Dakota – as well as Washington D.C. fail to regulate individuals who perform medical imaging or radiation therapy. Roughly half of those diagnosed with cancer receive radiation therapy either stand-alone or in combination with other treatments.